It's time to push the limits of performance without compromise. Built on a revolutionary 3D chassis, the Elite Inflatable PFD stays put at high speeds, lets you move the way you want and NEED to and provides automatic inflation powered by Hydrostatic Inflator Technology. The 3D chassis reduces drag at speed, the wide shoulder system eliminates neck fatigue, a wicking mesh liner improves all-day comfort, dual-side adjusters ease fit and an exclusive sleek inflation handle prevents snags. The bright fluorescent yellow-green inflation cell provides 28 lb. buoyancy when inflated and improves visibility in a rescue scenario. 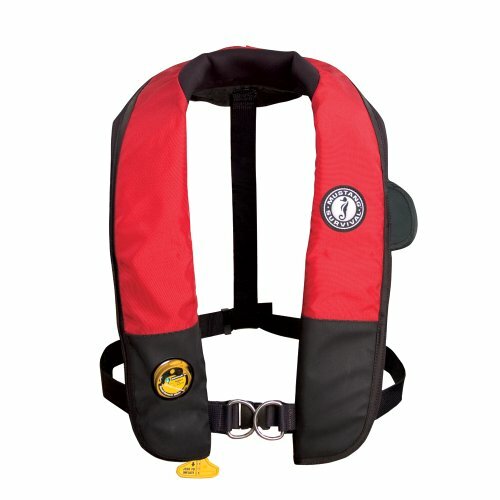 The award-winning MD3184 02 Inflatable PFD with HIT (Hydrostatic Inflator Technology) and Sailing Harness is Mustang Survival's top-of-the-line inflatable PFD with an integrated harness. Designed for serious sailors with exclusive technology that enhances safety and minimizes maintenance, this is our most popular inflatable PFD in the sailing community. Designed for use in severe weather, it features the exclusive USCG-approved Hydrostatic Inflator Technology, bright fluorescent yellow-green inflation cell, lightweight outer shell fabric used in the body armor industry, zippered pocket and a neoprene Comfort Collar. Research shows fluorescent yellow-green to be the most visible color in a water rescue scenario. For more information visit www.mustangsurvival.com/visibility. 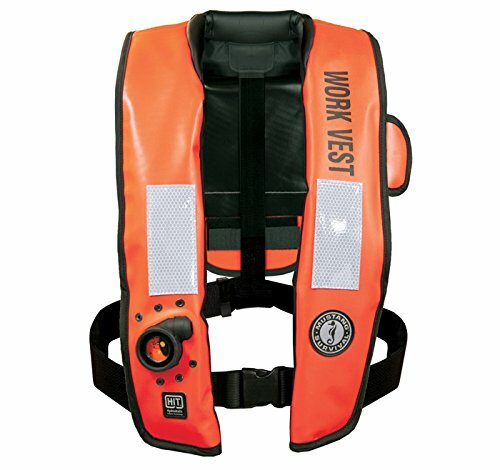 Please Note: This product is a USCG Type all and USCG Type V Commercial with Type all performance when worn on uninspected commercial vessels less than 40 ft. in length and not carrying passengers for hire. 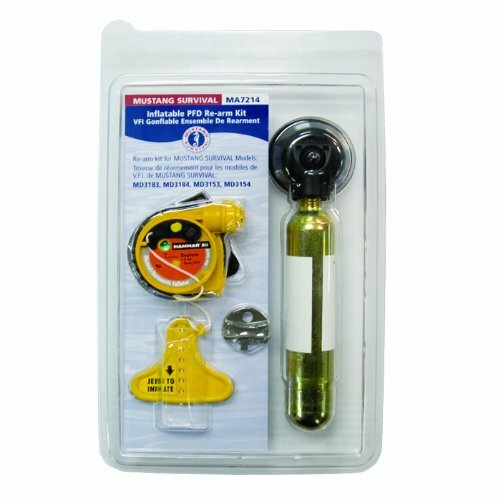 The Auto Hydrostatic Re-Arm Kit contains everything necessary to re-arm your Mustang Survival Auto Hydrostatic inflatable PFD after deployment. For model numbers: MD3153, MD3154, MD3183, MD3184 and MD3188. Use only Mustang Survival re-arm kits. Use of other re-arm kits may result in improper operation or failure to operate and will void the product's warranty. Regular maintenance can reduce the possibility of inadvertent inflation. Refer to your Owner's Manual for maintenance schedule. The Auto Hydrostatic inflator cap and body should be replaced before the expiry date on the cap passes. 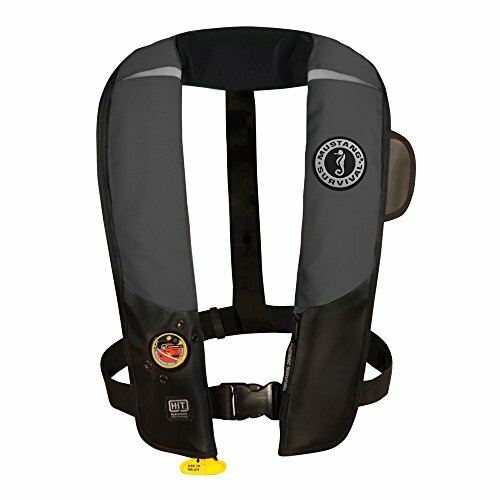 The MD3183 T3 Inflatable PFD with HIT (Hydrostatic Inflator Technology) is Mustang Survival's top-of-the-line inflatable PFD. Constructed of ANSI approved high visibility materials. This PFD is worn by police, EMS and traffic controllers. The MD3183 T3 is our brightest inflatable yet. The Hydrostatic Inflator Technology offers reliable inflation in a low maintenance design that will only automatically inflate when submerged in 4 or more inches of water and not inadvertently due to rain, spray or humidity. Exclusive to Mustang Survival in North America and maintenance-free for 5 years from date of manufacture or until inflated. 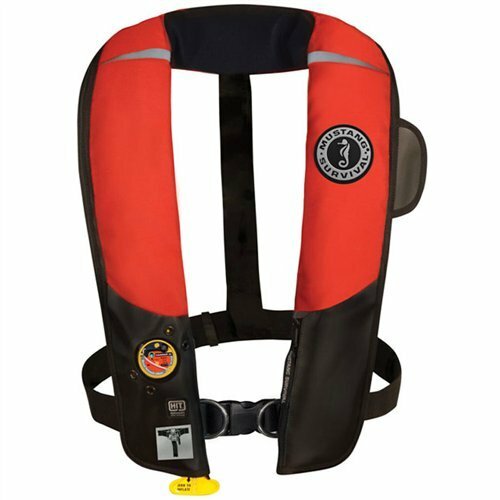 Made for the most severe marine environments the Inflatable PFD with HIT will meet the challenges of the most demanding users. 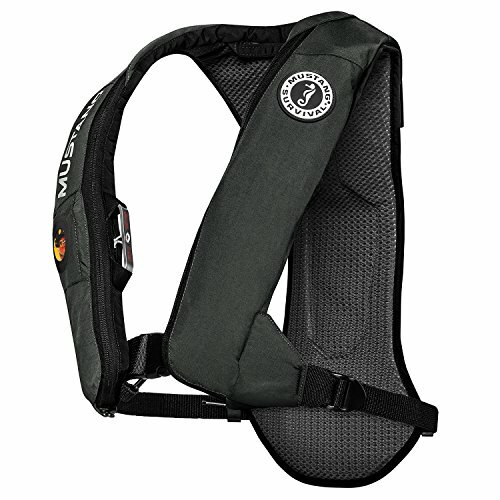 It also features the patented SecureZip closure system to ensure the PFD will stay closed during even the most rigorous activity and still opens effortlessly upon inflation. 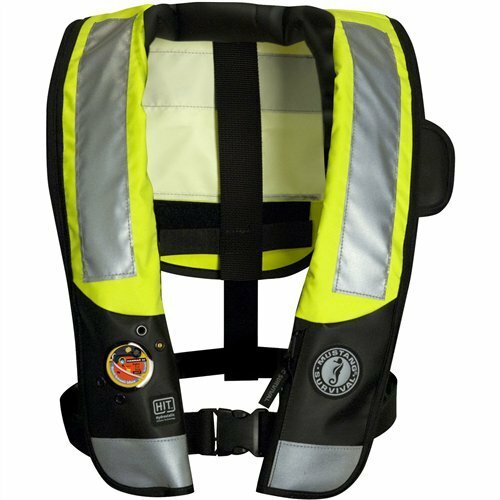 This low profile PFD ensures high visibility and is lightweight and comfortable enough that you'll forget you're wearing a PFD! The MD3183 T3 can be custom-screened for company or agency identification. For the highest visibility and to comply with ANSI 107-2004 Class 2 standards, simply wear the MD3183 T3 with a Diamond Rubber Products 8972 mesh vest. Shopping Results for "Mustang Survival Auto Hydrostatic Inflatable"